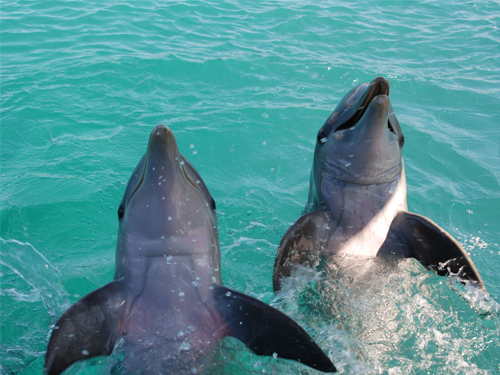 The bottle-nosed dolphins that live and frolic in the waters off Freeport offer wonderful educational opportunities for all visitors to Grand Bahama Island. The Underwater Explorers Society (UNEXSO) has made it possible for people to interact closely with these gentle animals in order to better understand them and their marine environment. On the UNEXSO Dolphin Close Encounter you will get the chance to pet, and even kiss, dolphins while you learn about their underwater world. UNEXSO will bring you by boat to Sanctuary Bay, a natural cove that several bottle-nosed dolphins call home. There you can submerge your feet in the water while a dolphin trainer will tell you all about the habitat, life-cycle, feeding habits, and behaviors of dolphins as they play in the water around you. The trainers will demonstrate how the dolphins communicate and interact with one another, and the dolphins will also perform spectacular tricks and acrobatic jumps. Their intelligence and benevolent demeanors will truly astound you as they jump out of the water and respond to the trainer's calls. You will also get the chance to wade onto a platform in waist-high water where you can get very close to the dolphins and pet them. 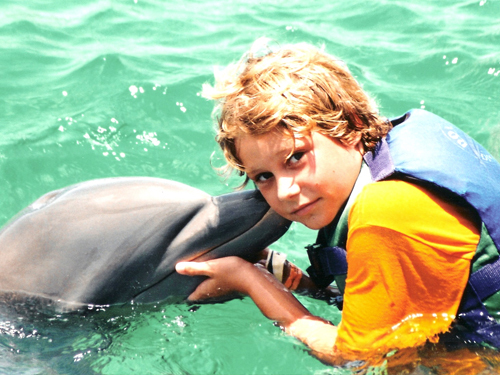 While the dolphins cozy up to you in the water, you and your family members will develop lasting memories of your Freeport vacation. Through education and conservation efforts, UNEXSO works to ensure that dolphins and other marine creatures will continue to awe us with their extraordinary nature. On this encounter, you can be sure that you too are helping to understand and preserve these amazing creatures for future generations. Come and explore the exciting world of the bottle-nosed dolphins at our world-class marine mammal compound. 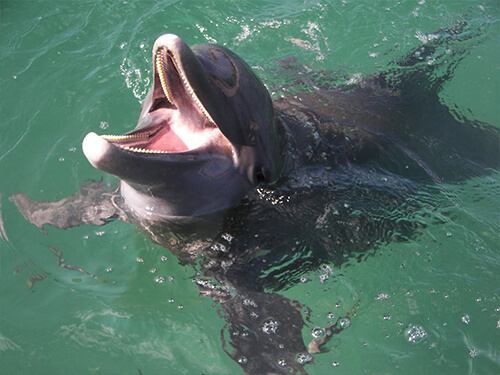 I have been to the Bahamas many times, but UNEXSO Dolphin Close Encounter in Freeport is one of my favorite trips! It includes everything that everyone should do here. As a Bahamas veteran, I can say only the best about this experience!